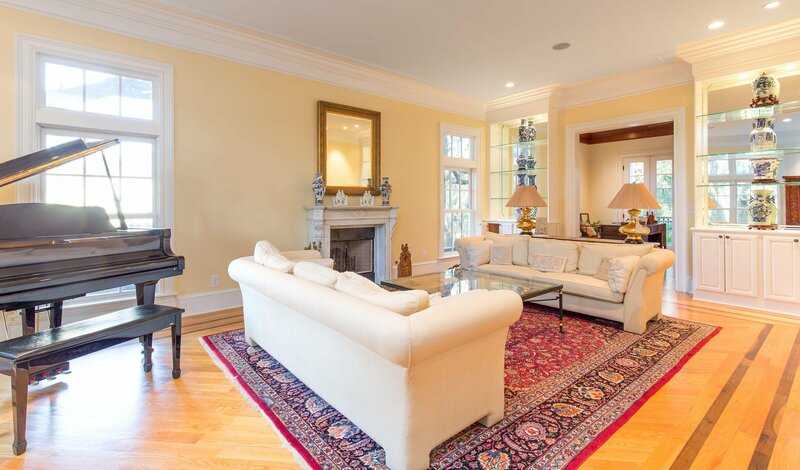 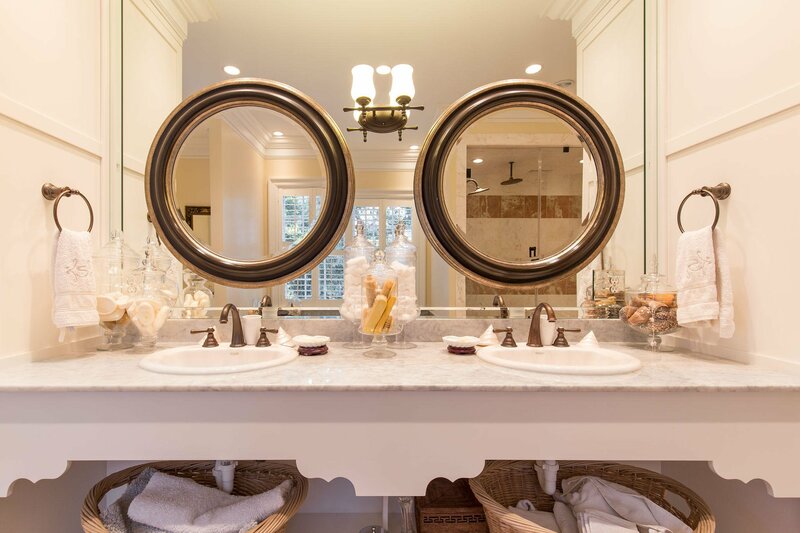 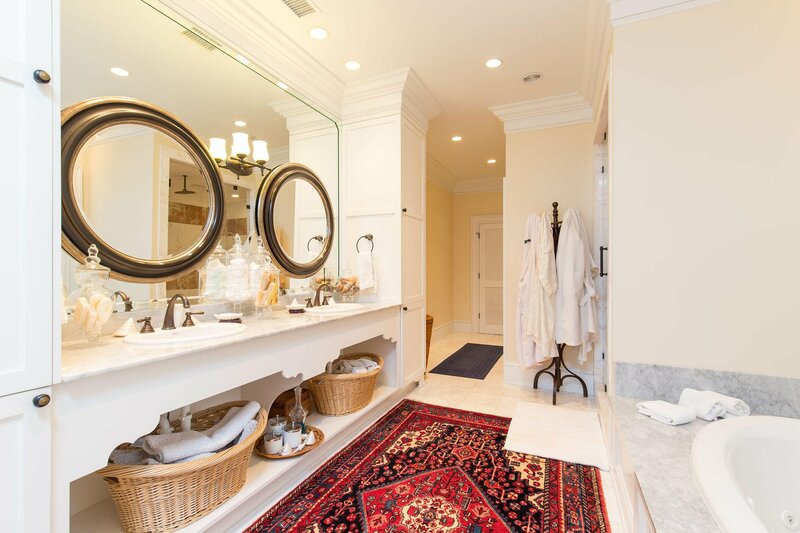 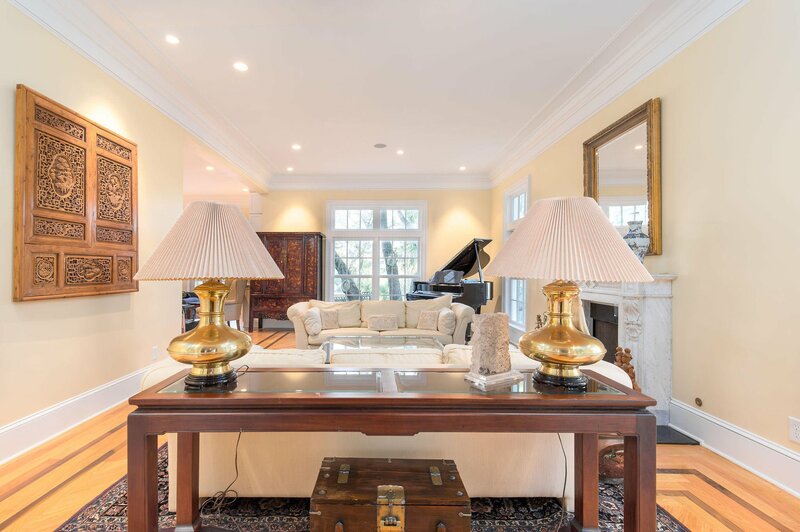 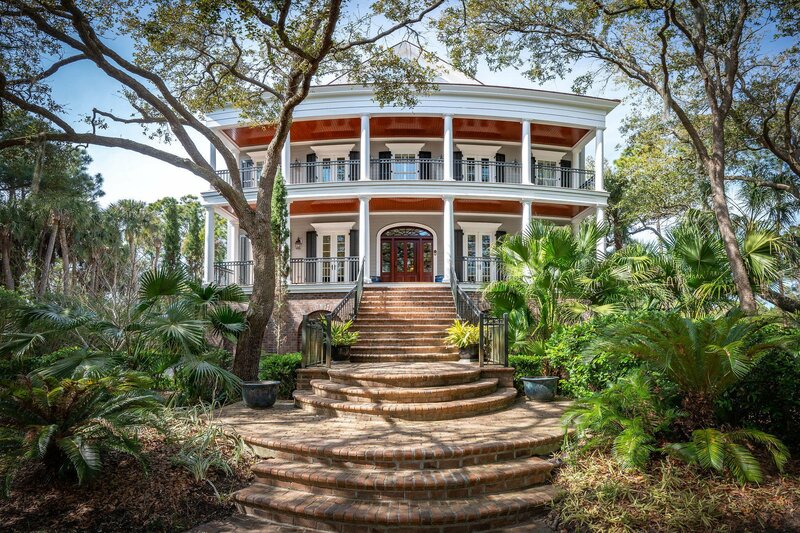 Welcome to this sunning estate home with 6 bedrooms, 6.5-bathrooms. 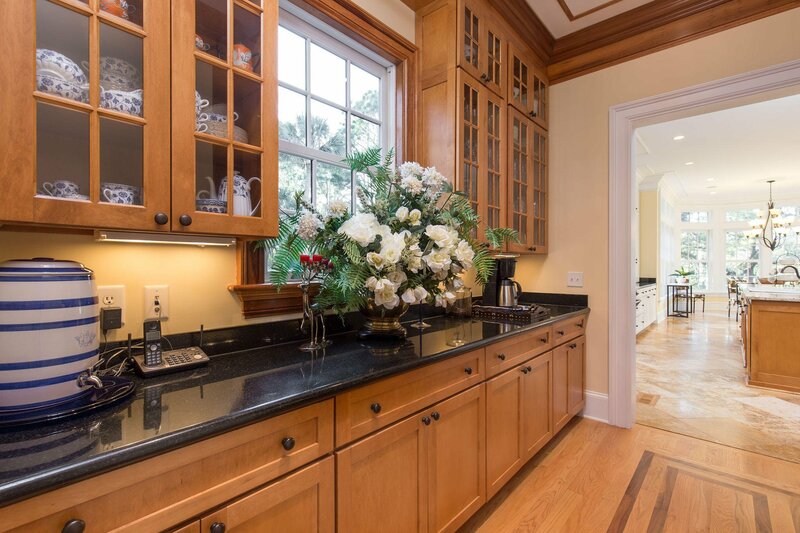 You will appreciate the privacy and quality this home affords just as soon as you approach the front drive. 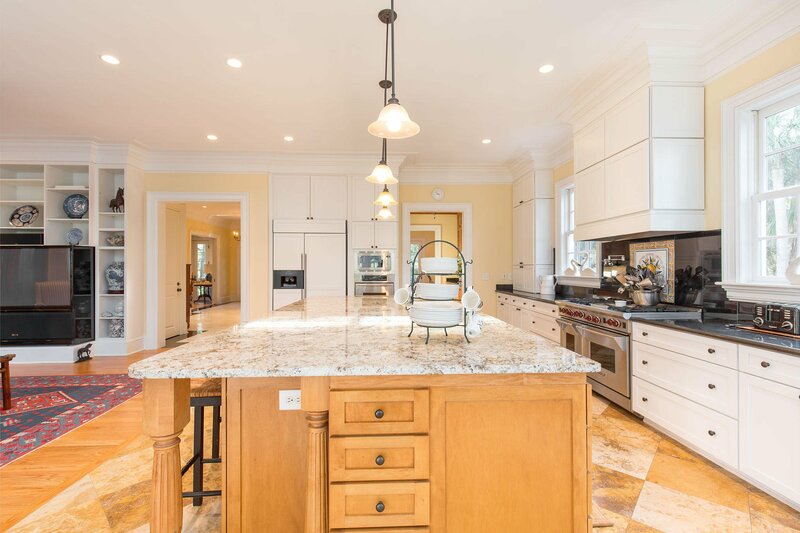 There is not a doubt that you will be hard pressed to find any other opportunity, at this price with the quality and care this home bestows. 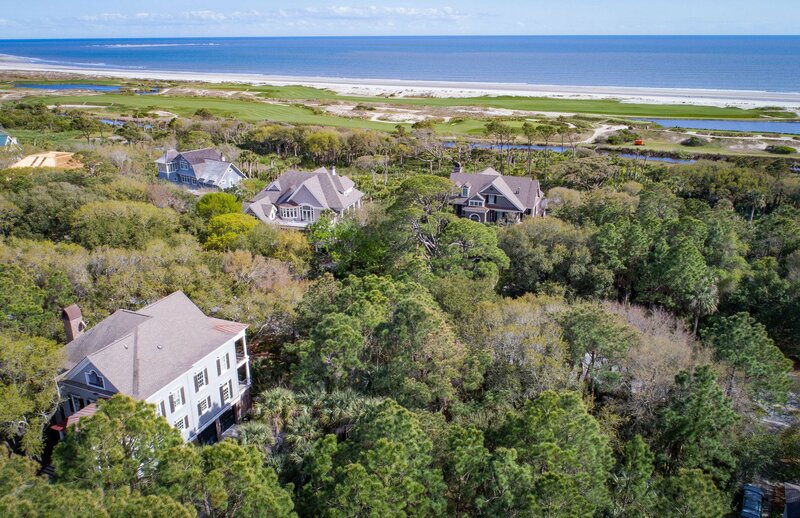 The location is very close to The Beach Club and the famed Ocean Course. 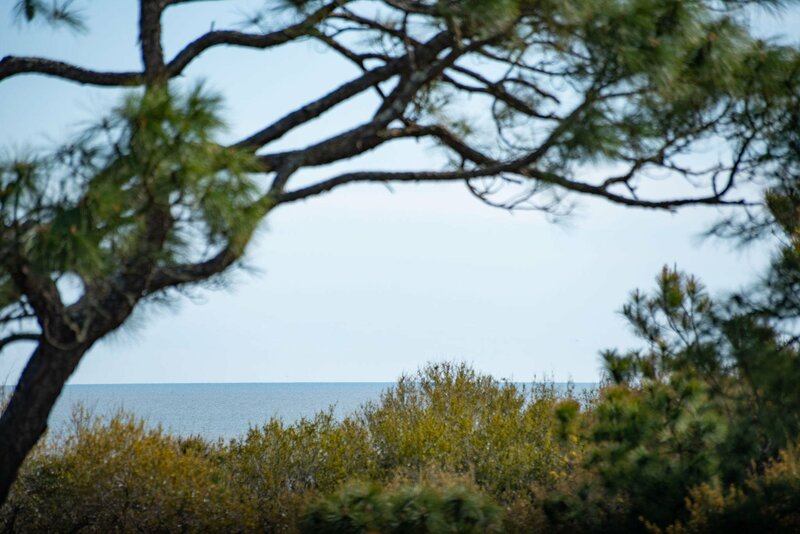 A Kiawah Island ''Golf'' Club Membership opportunity is available. 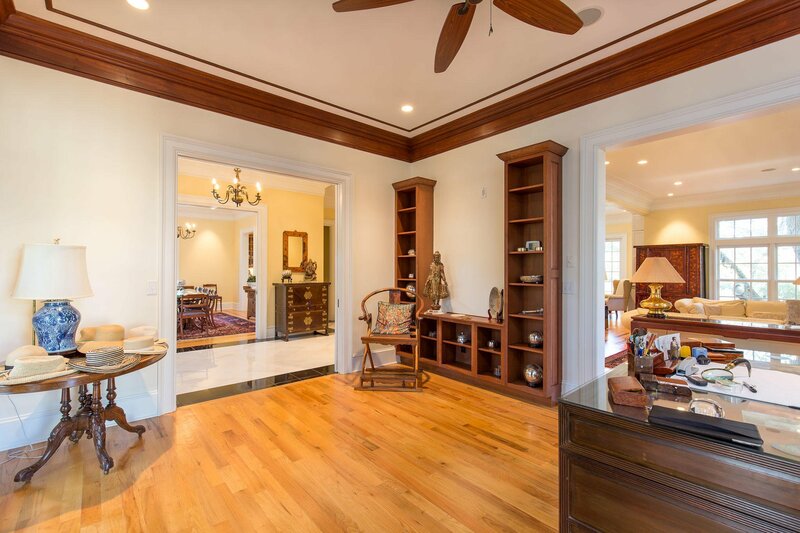 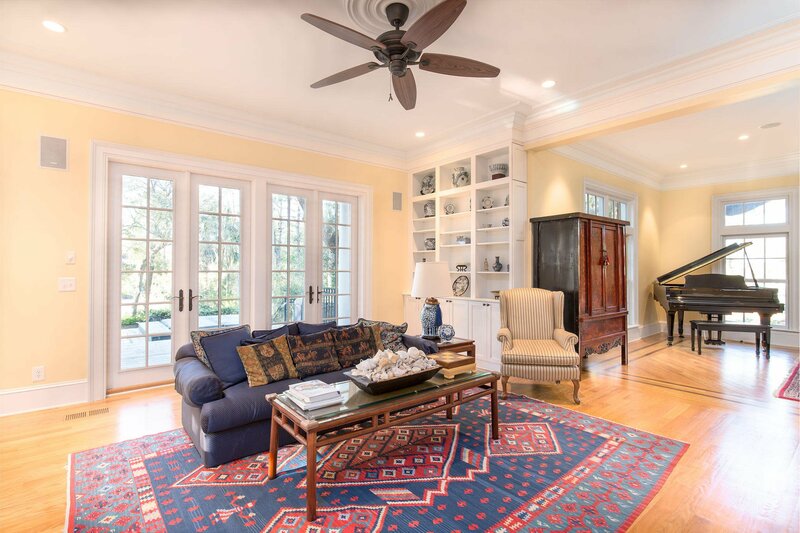 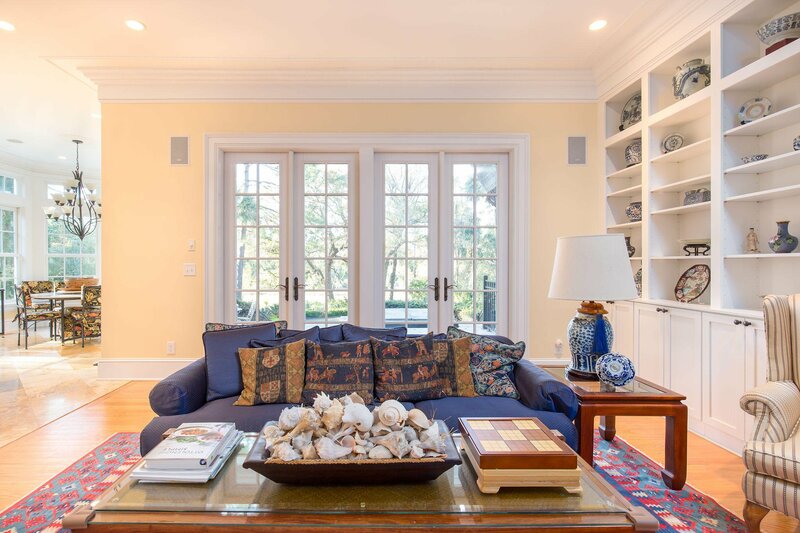 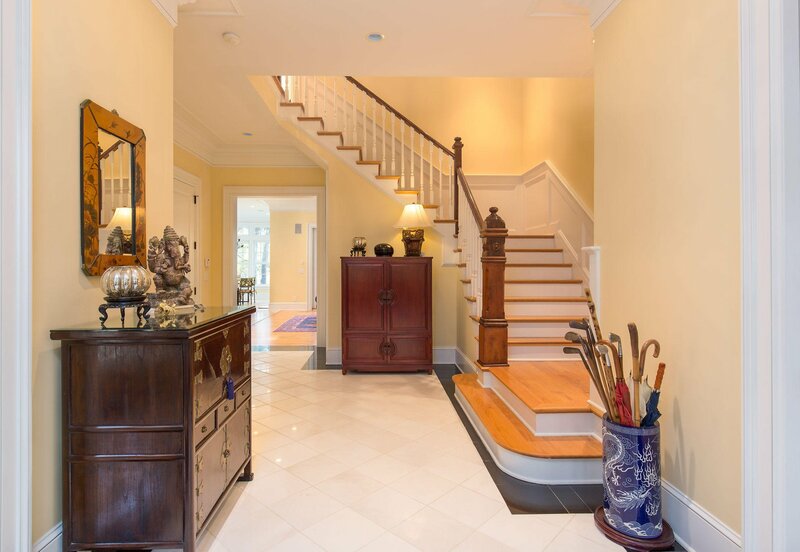 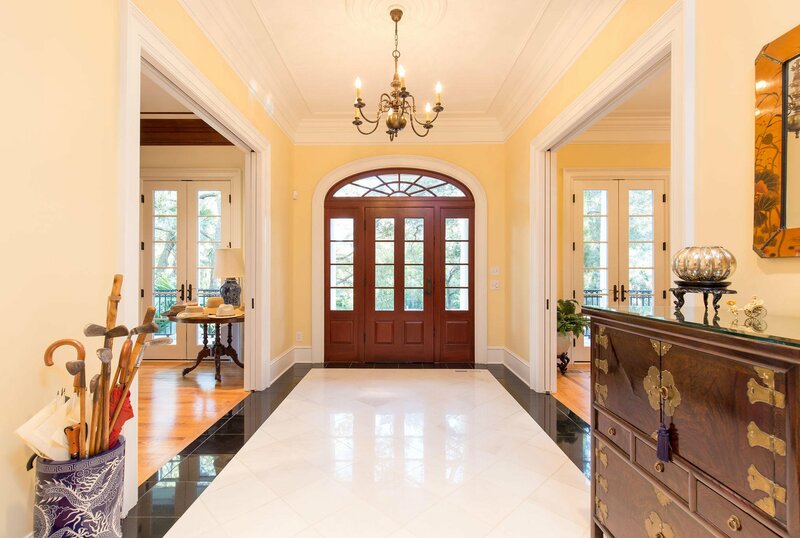 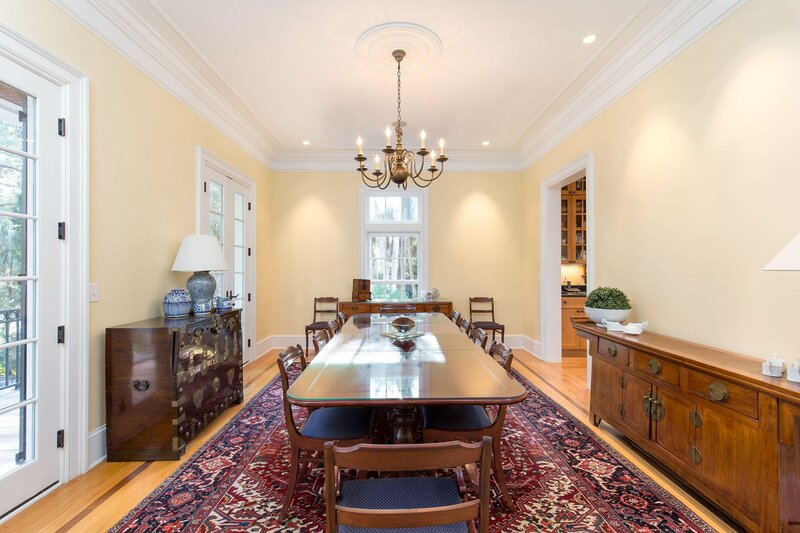 Upon walking into this residence through the double doors, the formal dining room is located on the left, while the right is perfect for a home office. 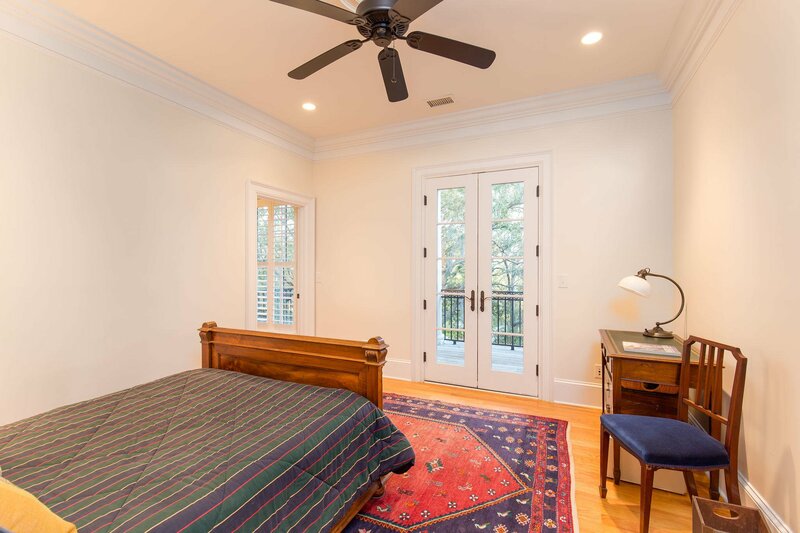 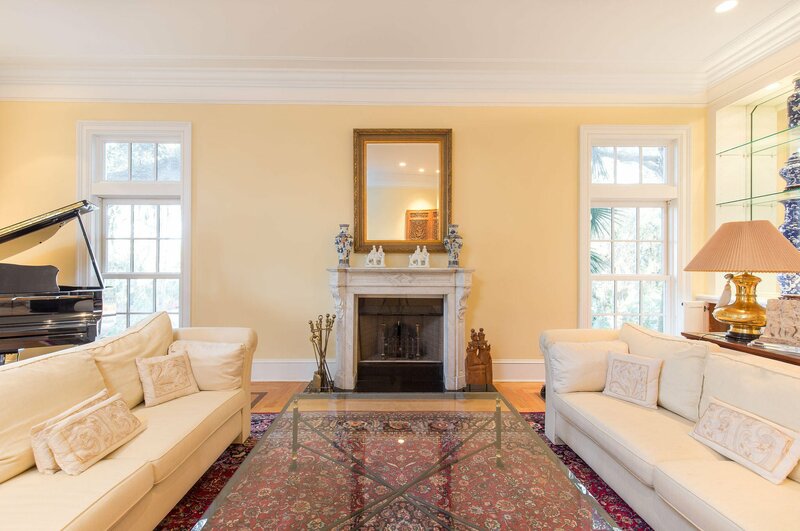 Both rooms have optimal lighting through the windows as well as double French doors/windows. 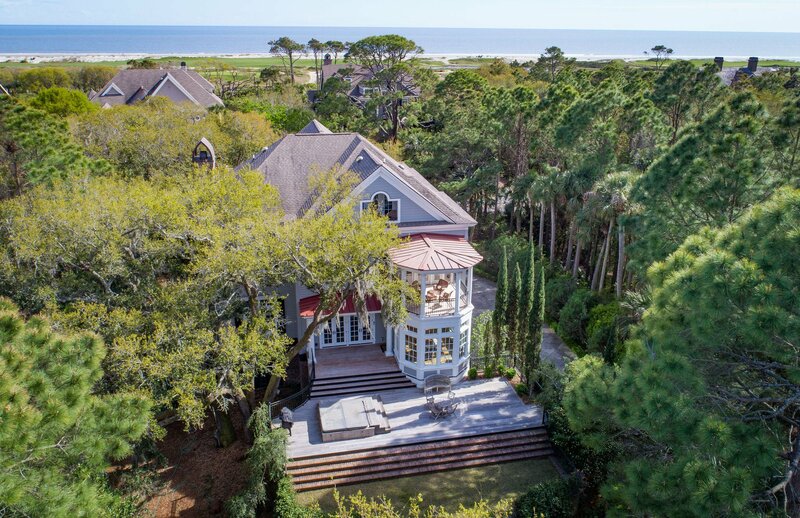 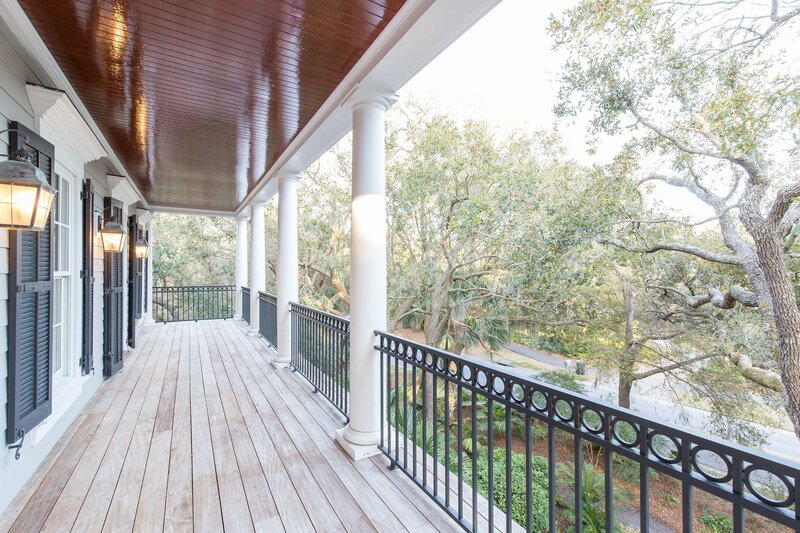 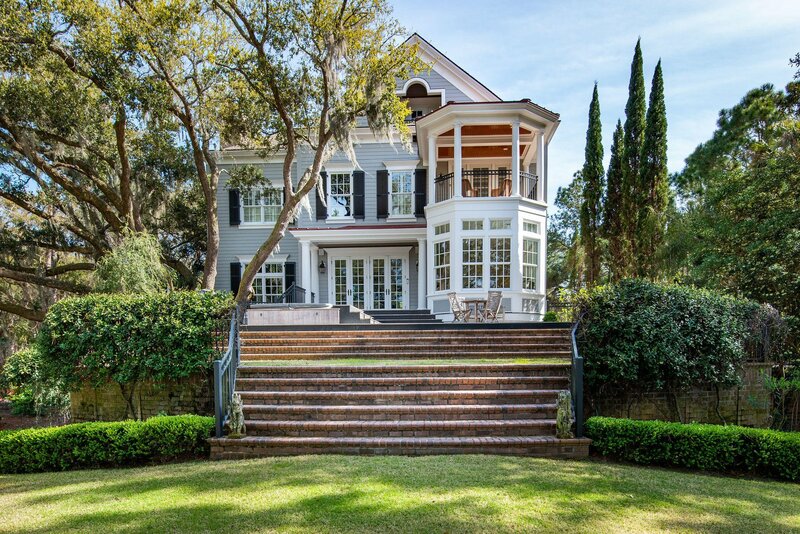 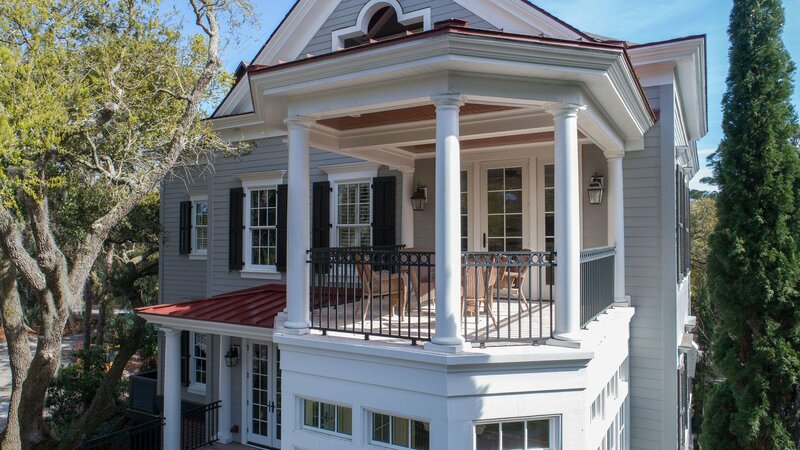 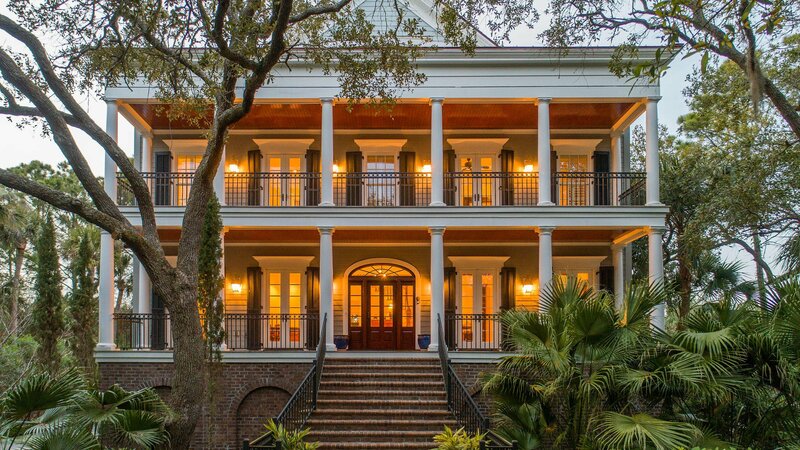 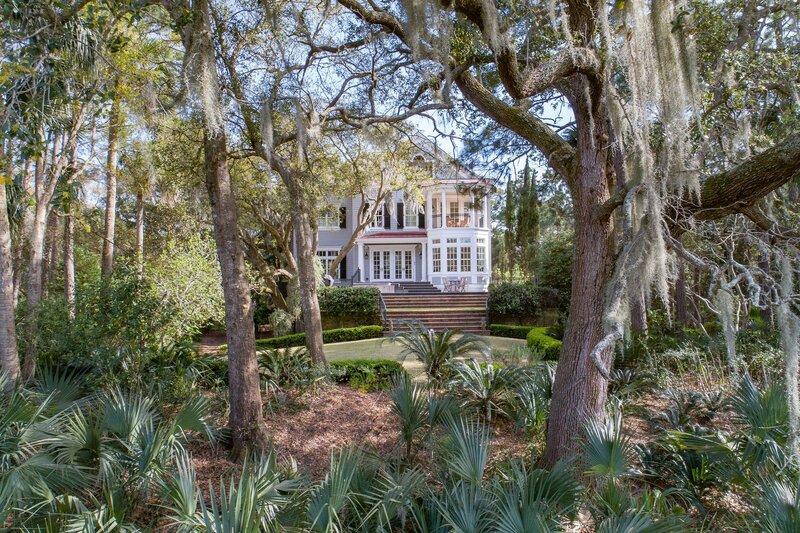 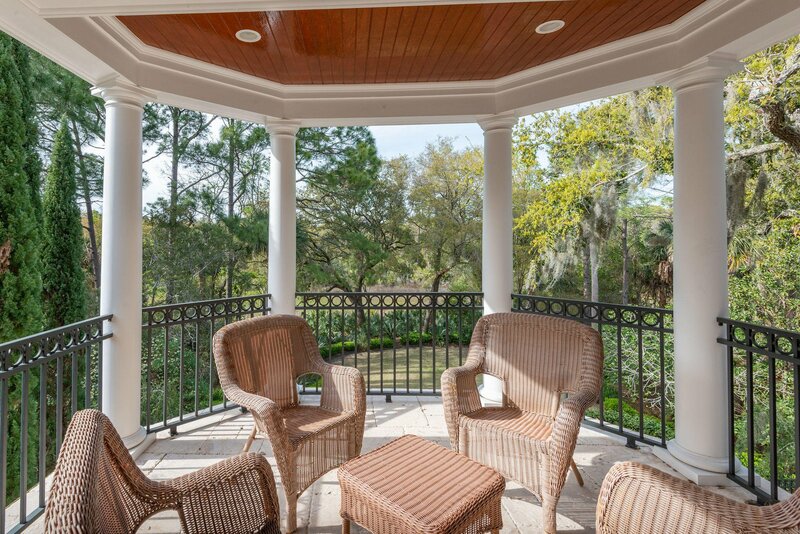 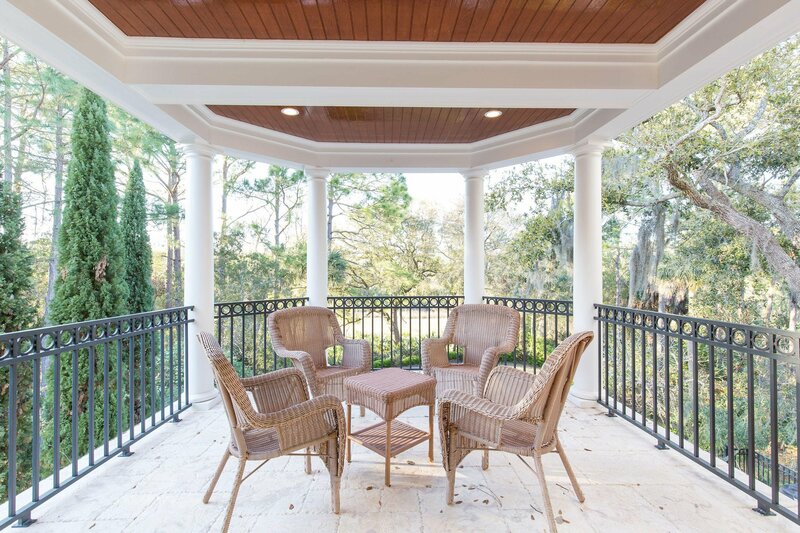 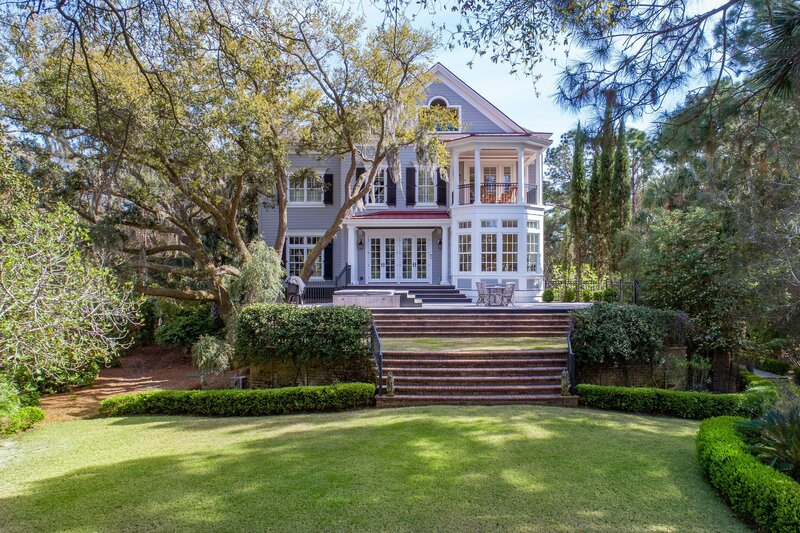 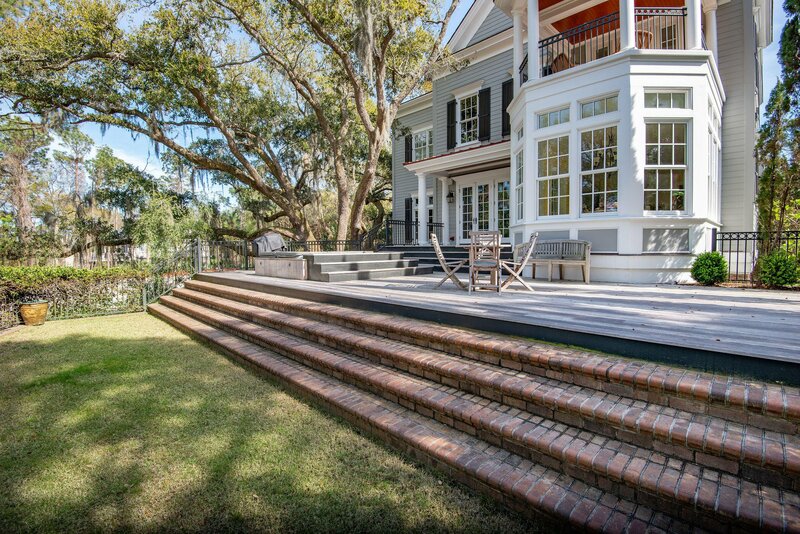 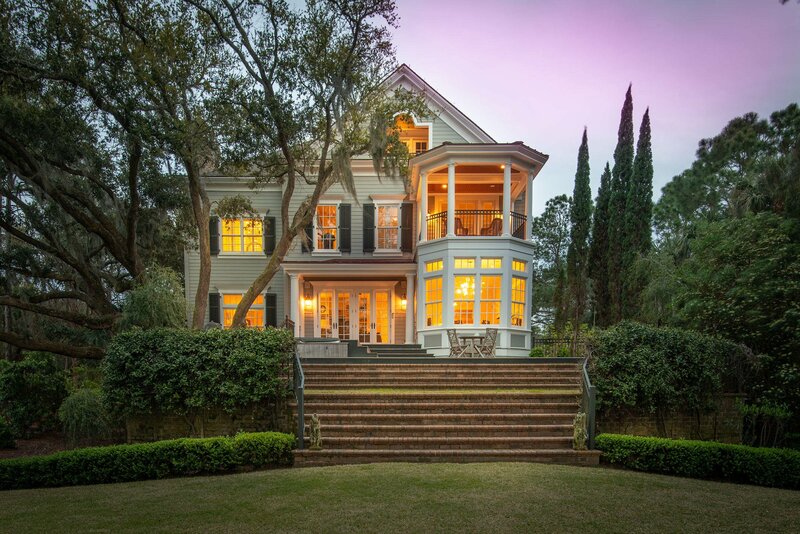 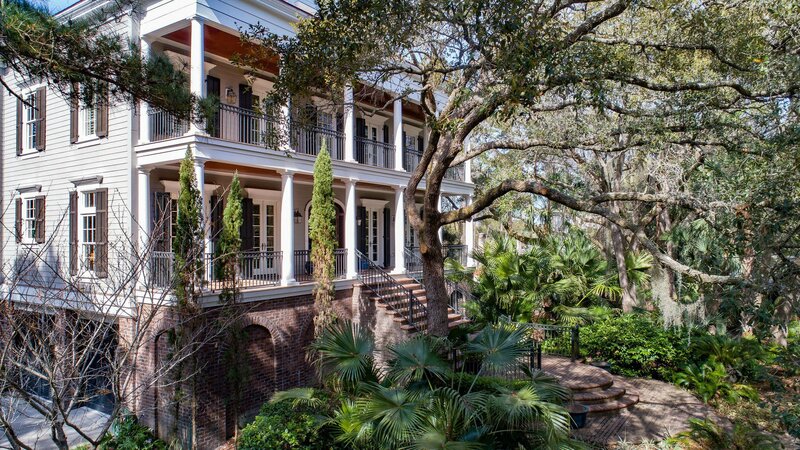 Spacious porches are staples for Southern living, and this home has stunning dual porches. 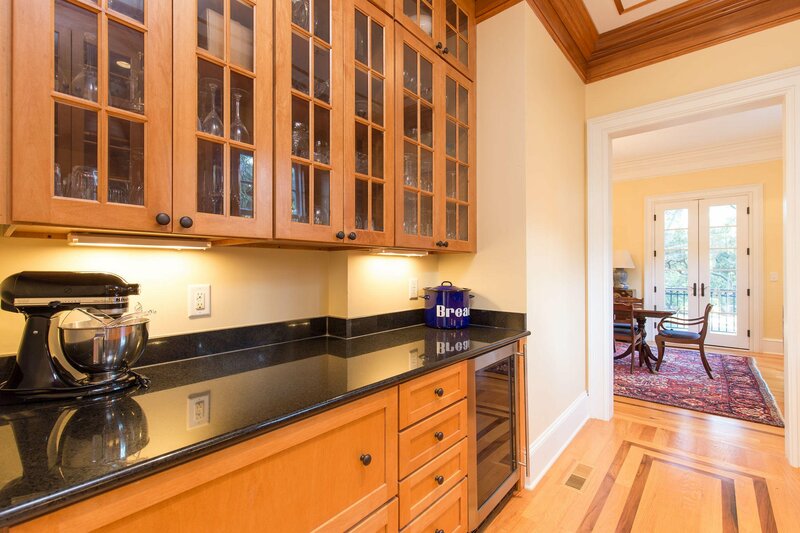 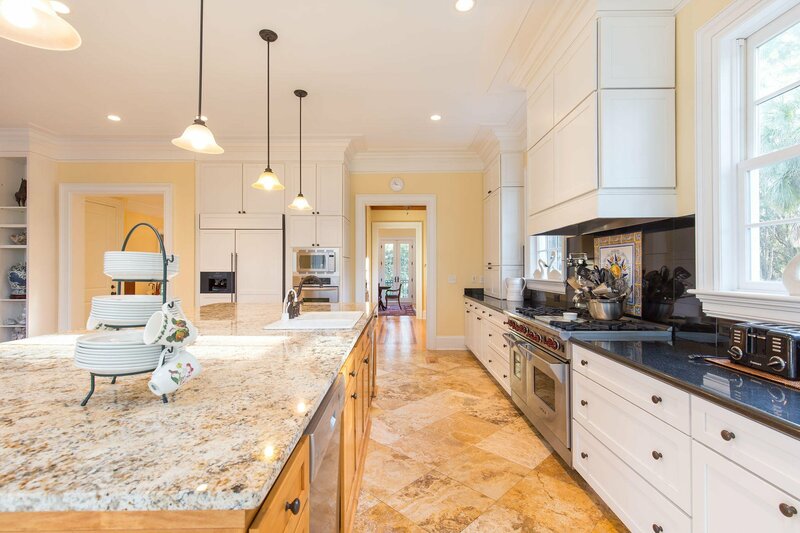 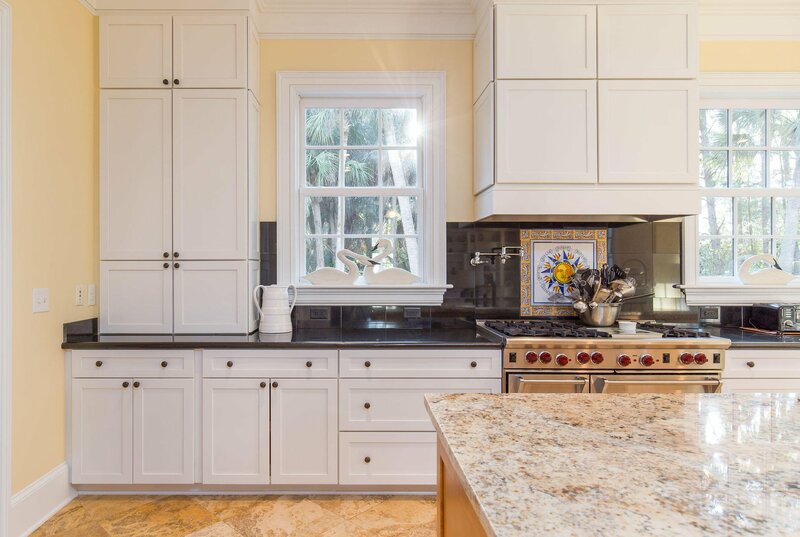 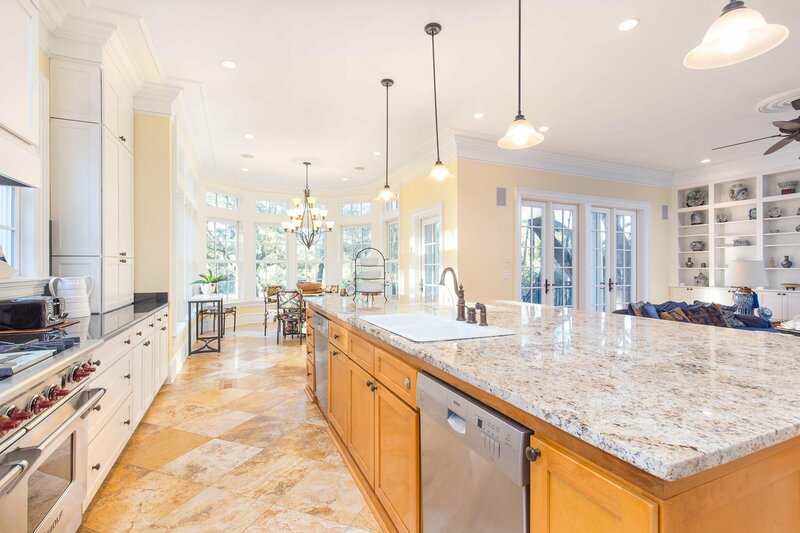 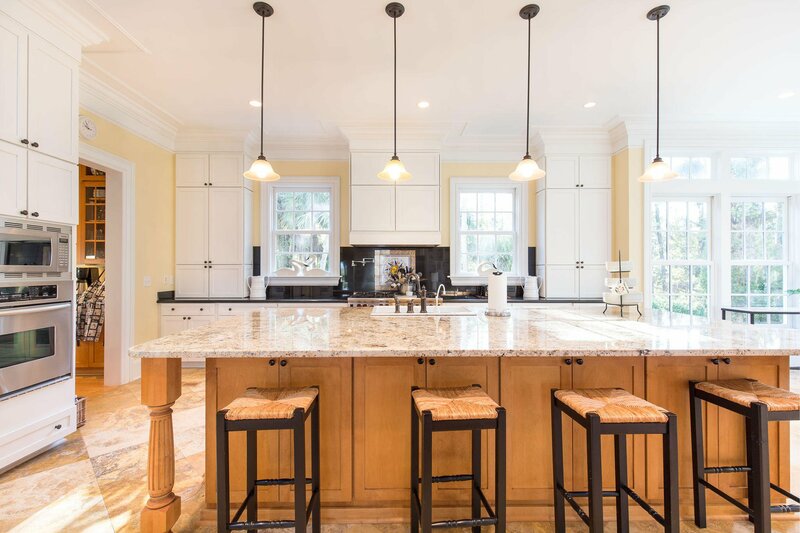 The exquisite kitchen boasts an expansive island with a granite counter-tops and tile flooring. 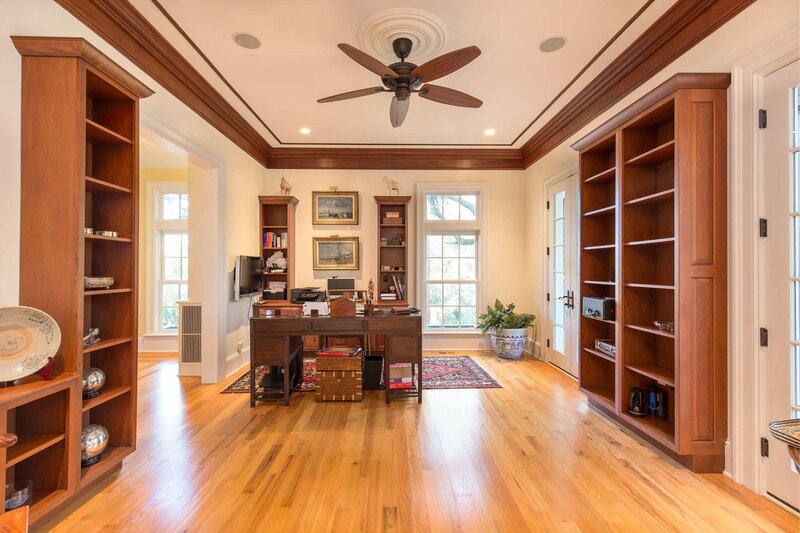 All white cabinets in the kitchen and built in bookshelves in the main living room open up the space. 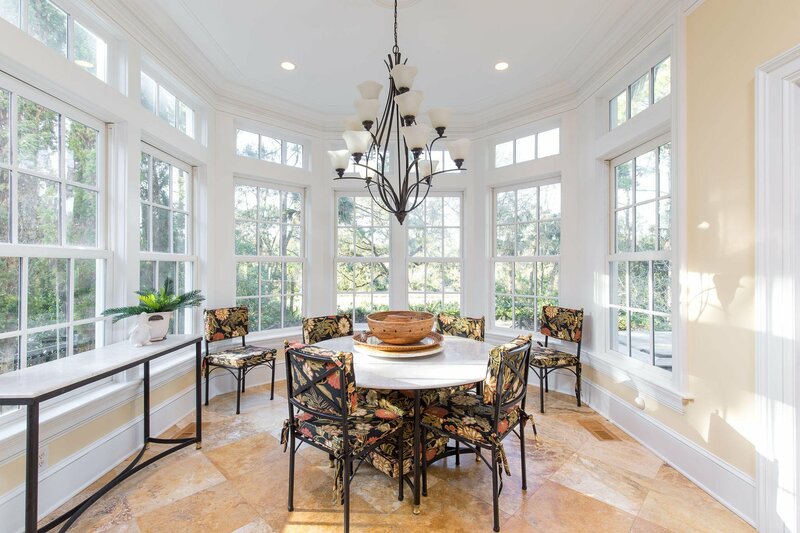 Just past the open kitchen is a dining area with breathtaking views of the outdoor scenery. 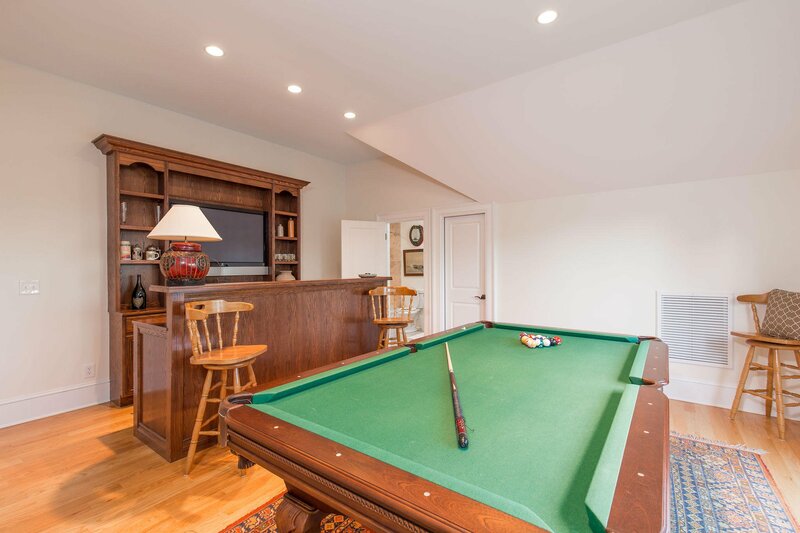 Also located on the first floor, is a sitting, or entertainment room, located between the main living room and the front home office area. 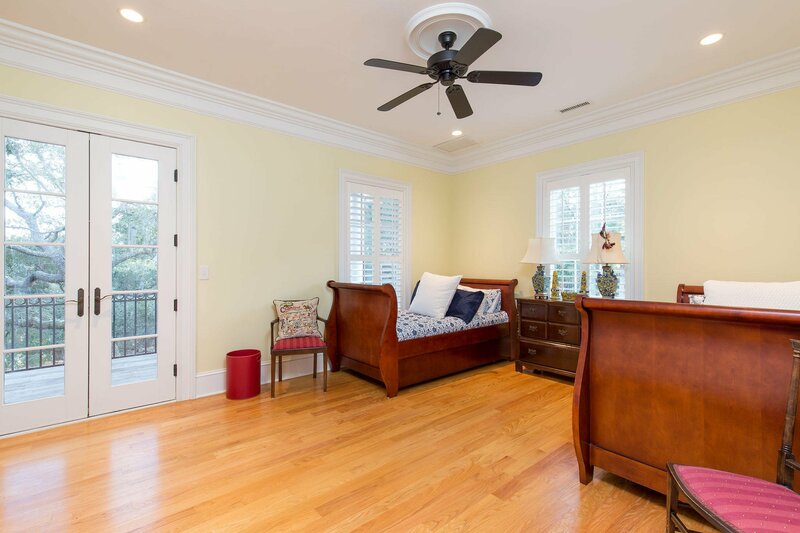 Hardwood and tile flooring on the first floor. 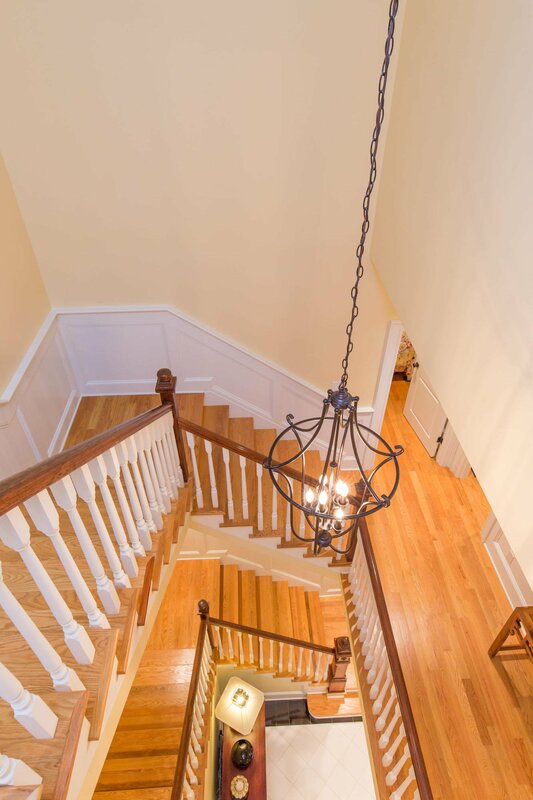 Ascend the stairs, or take the 3 stop elevator, to the second floor. 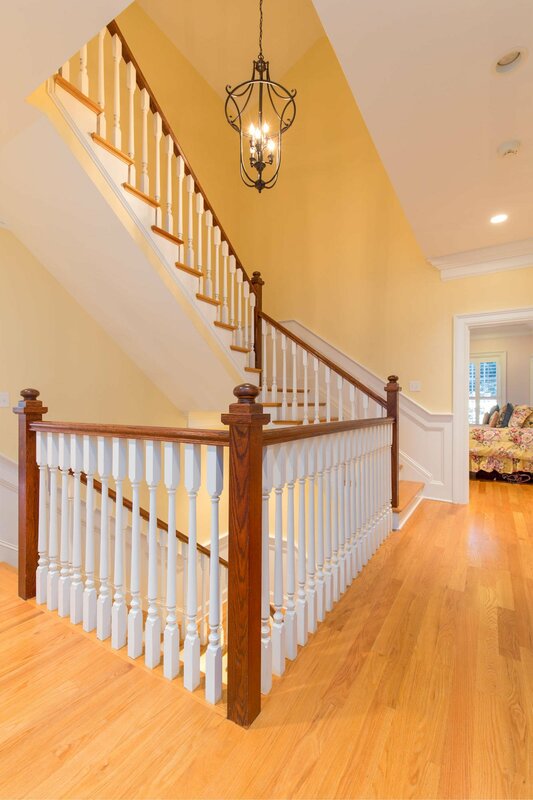 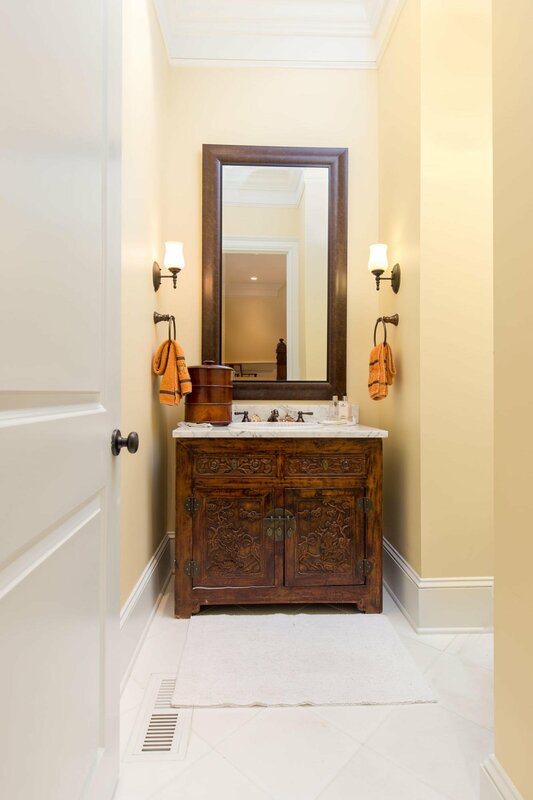 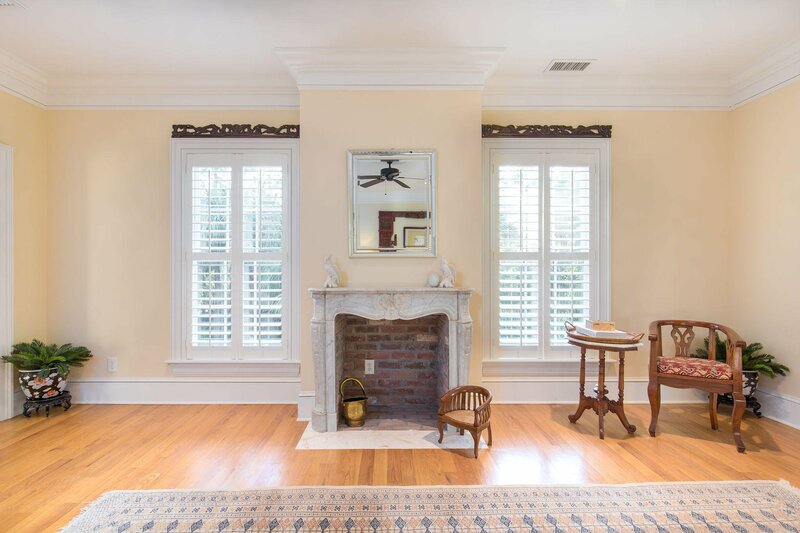 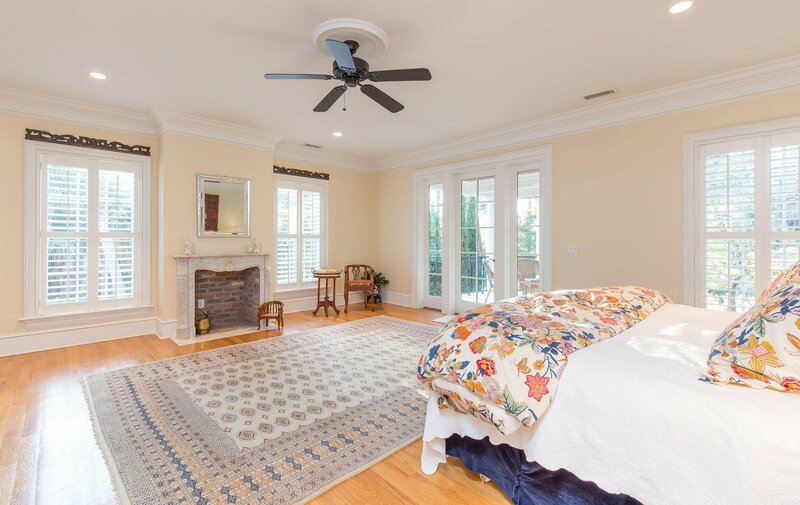 To the right of the stairs, the beautiful master suite boasts a built in TV stand with shelving, along with a gorgeous white and brick fireplace. 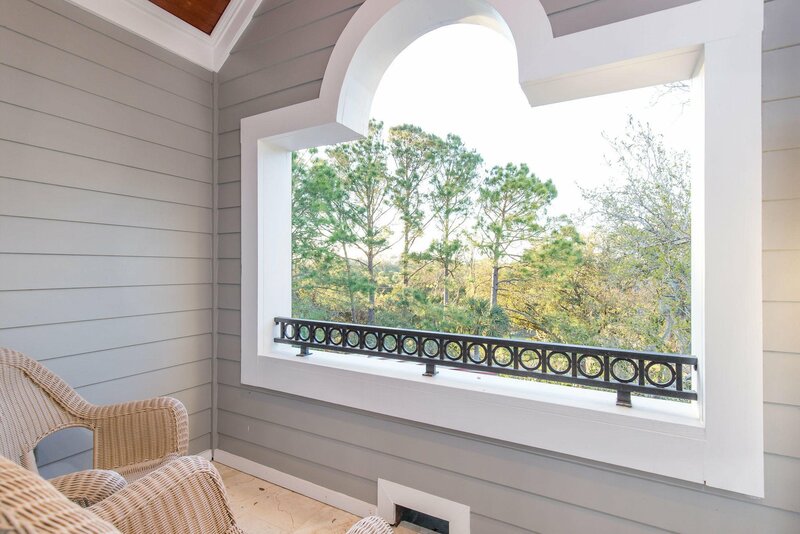 Off to the side of the master suite is a balcony sitting area to enjoy the lovely outdoors. 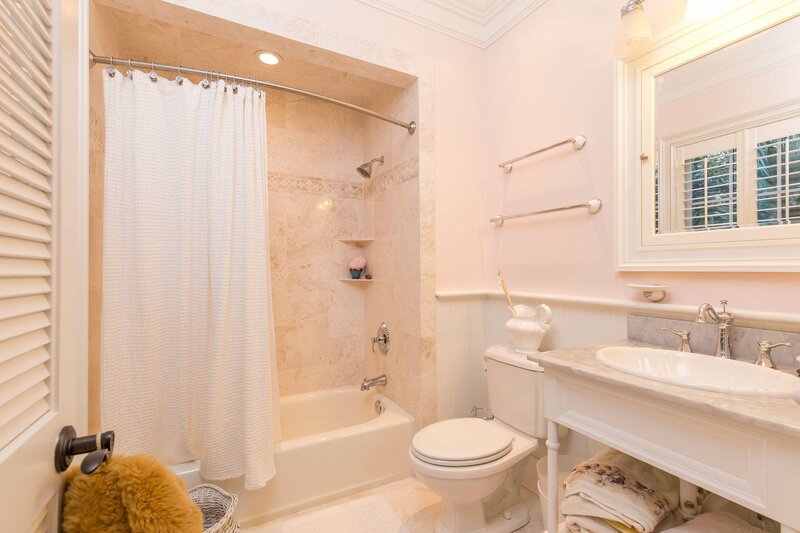 The master bathroom has a glass shower and double sink. 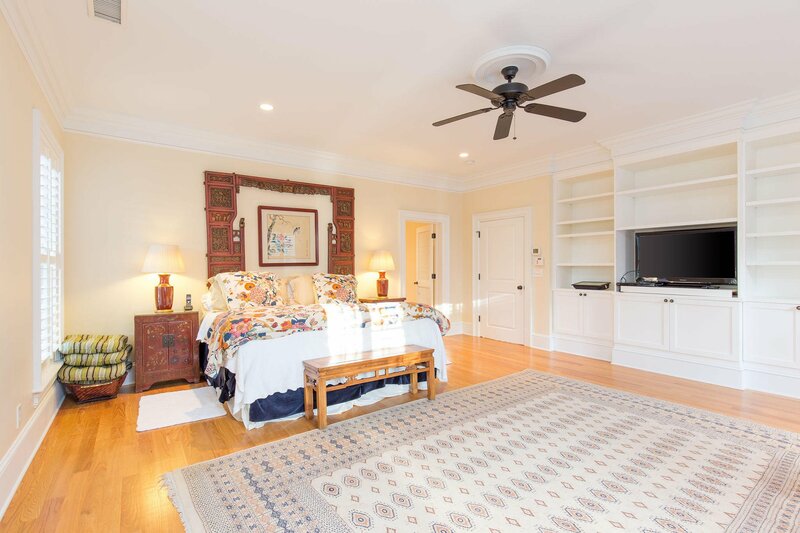 Connected to the master suite is the laundry area. 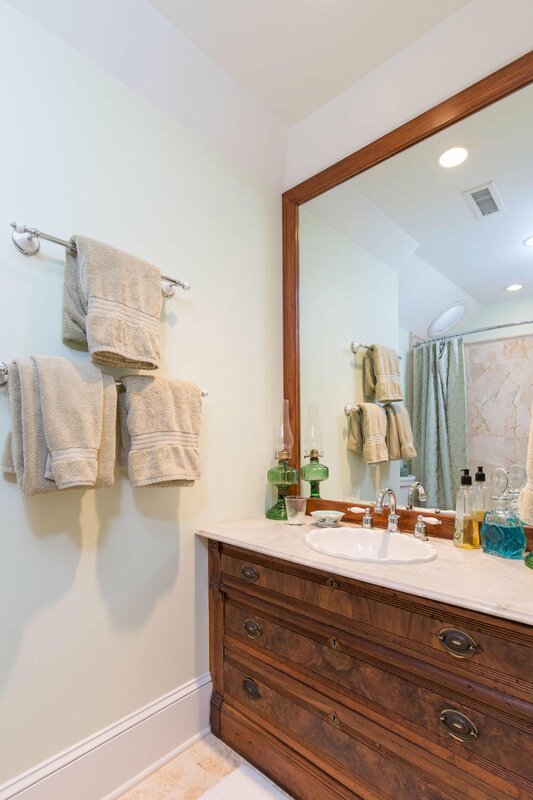 The laundry room has washer, dryer, sink, and extra storage space available. 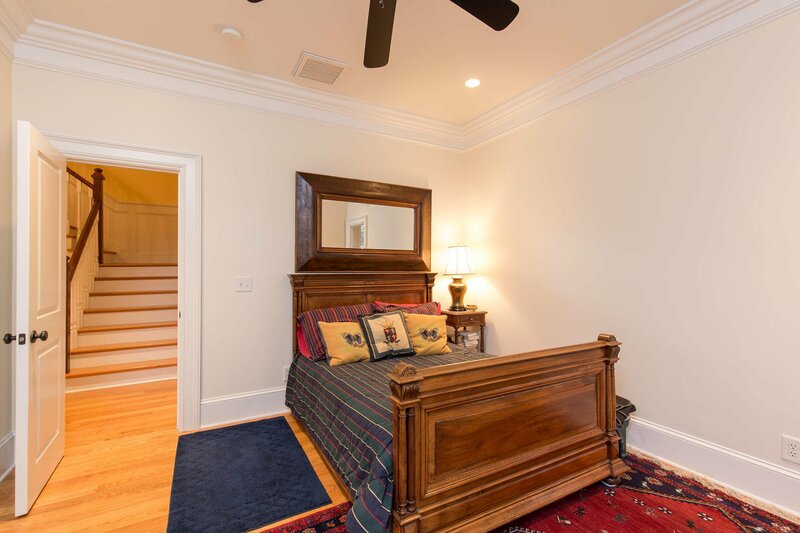 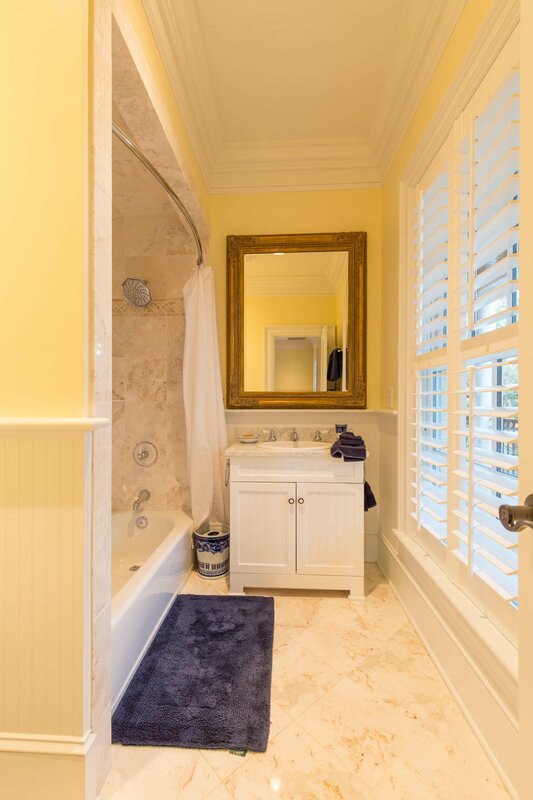 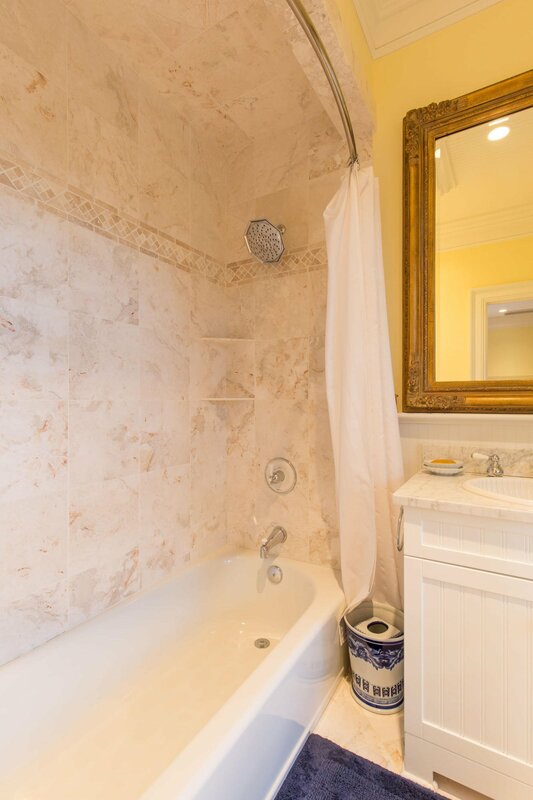 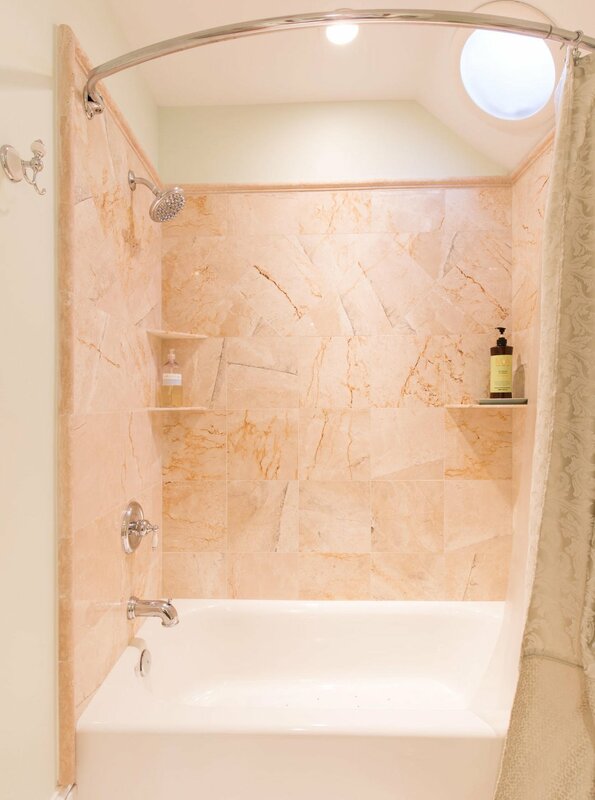 The second bedroom has a private bathroom with marble counter-top, as well as access to the second story front porch. 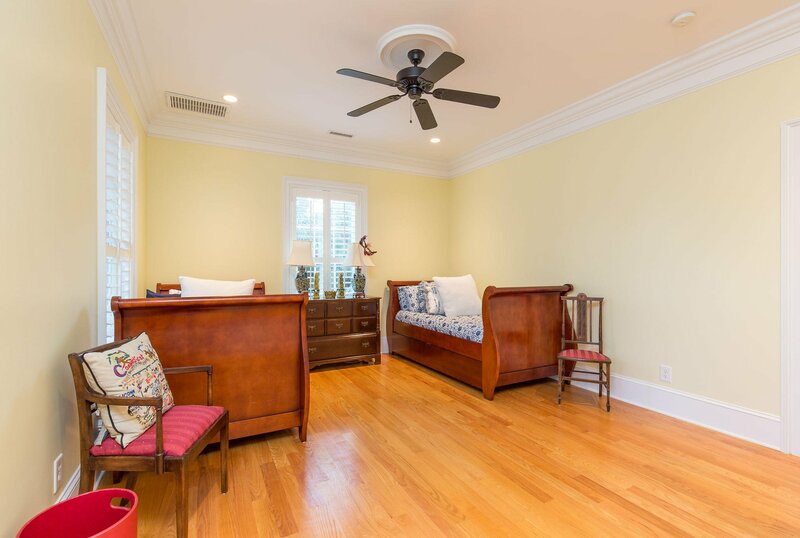 The third bedroom has a private bathroom, access to the second story front porch, and build in shelving in the bathroom. 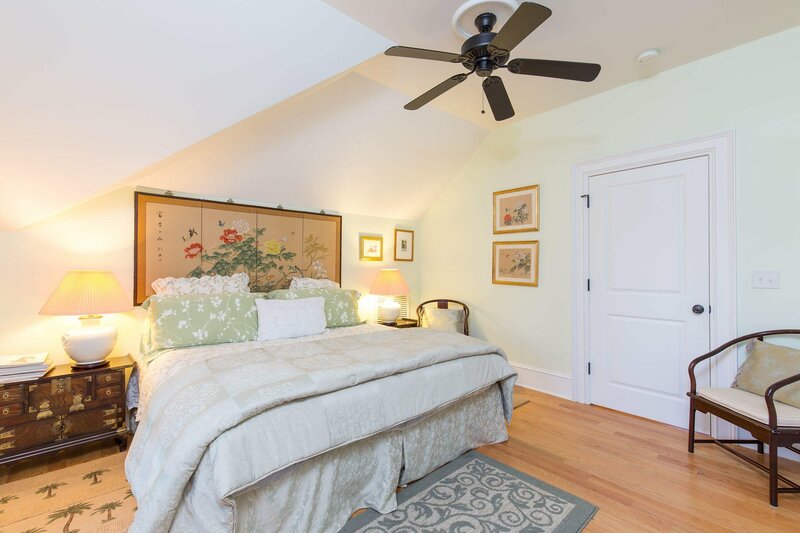 The fourth and final bedroom located on this floor has double closet space and an upgraded private bathroom. 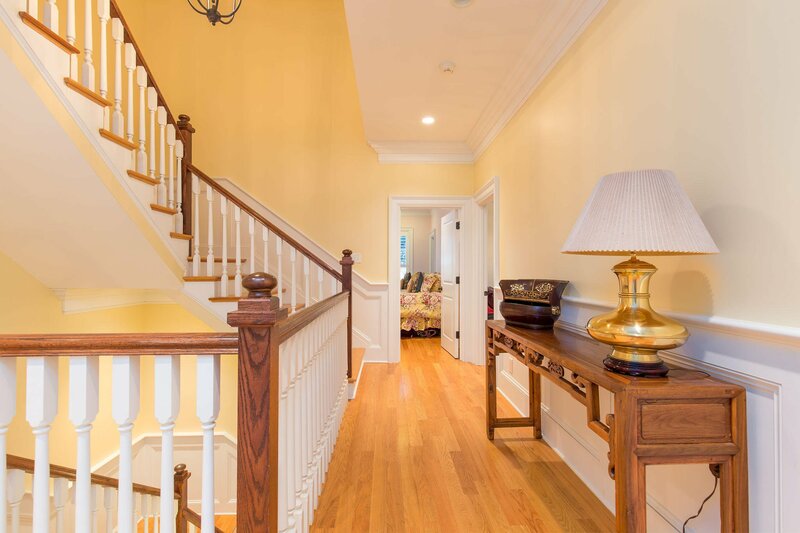 Upon reaching the third floor, take a right into the fifth bedroom. 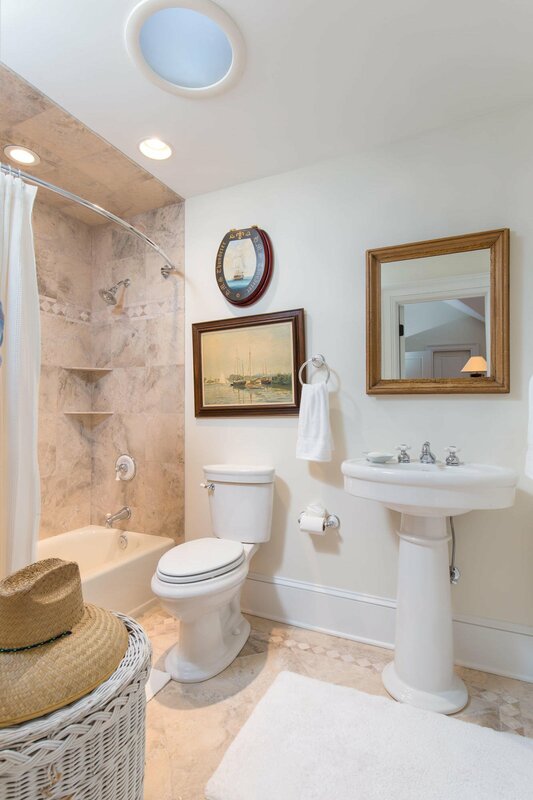 This room has it all: privacy, a private bathroom, and a back porch area for soaking up the sun. 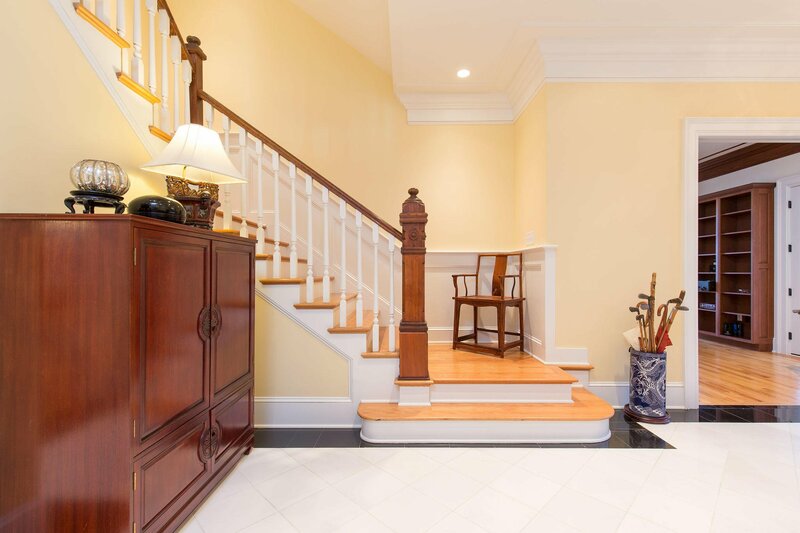 To the left of the stairs is the final room. 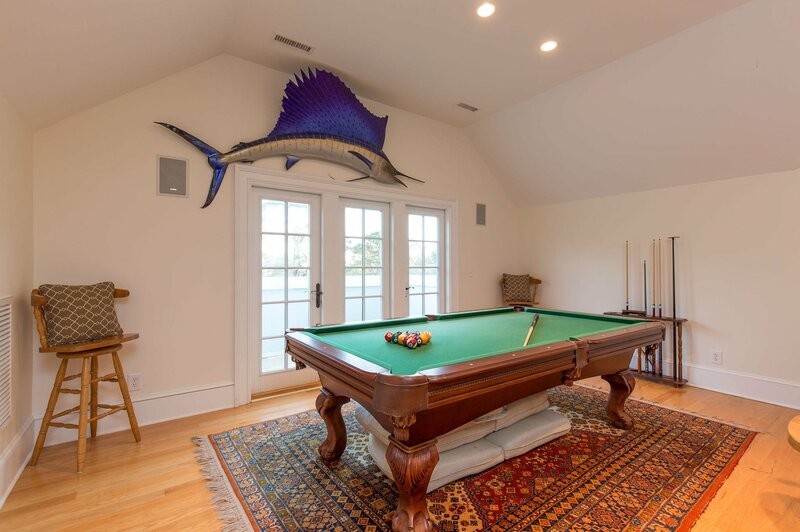 This billiards room is also a large sixth bedroom. 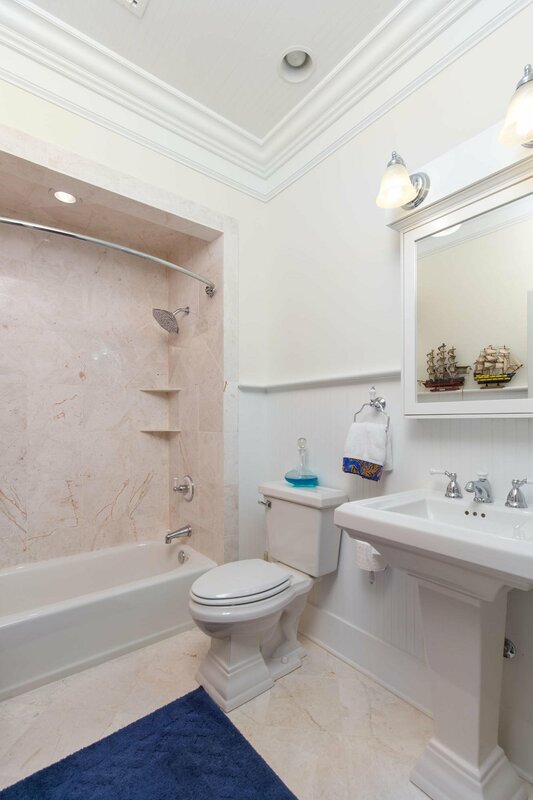 There is access to the top level balcony, a built in bar, a private bathroom, and storage space available. 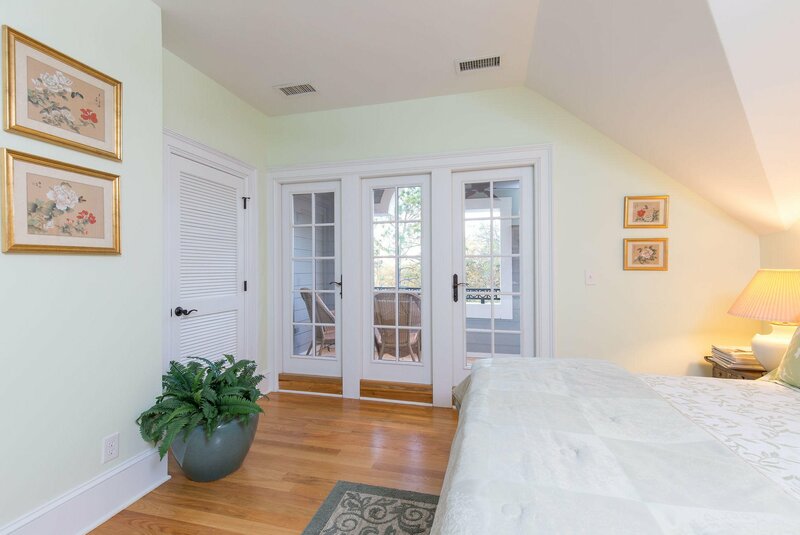 Take one look in the attic and you will appreciate the foam insulation.This is incredibly beneficial to the homes utility bill. 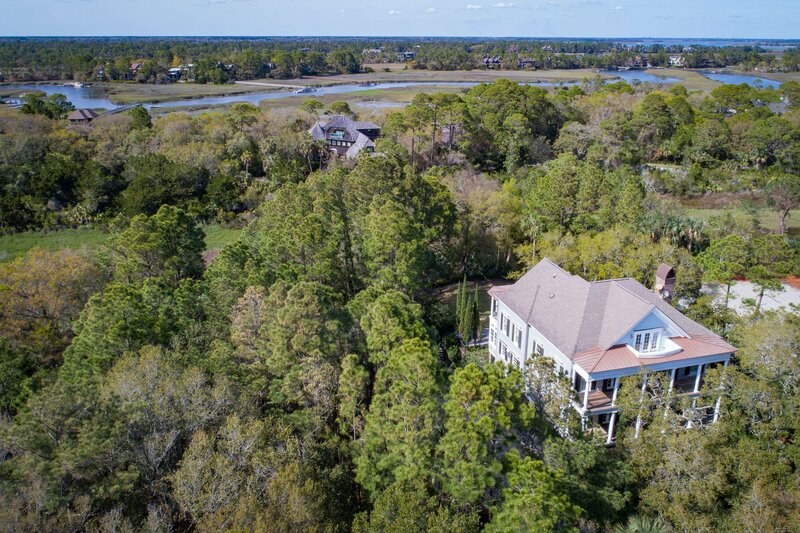 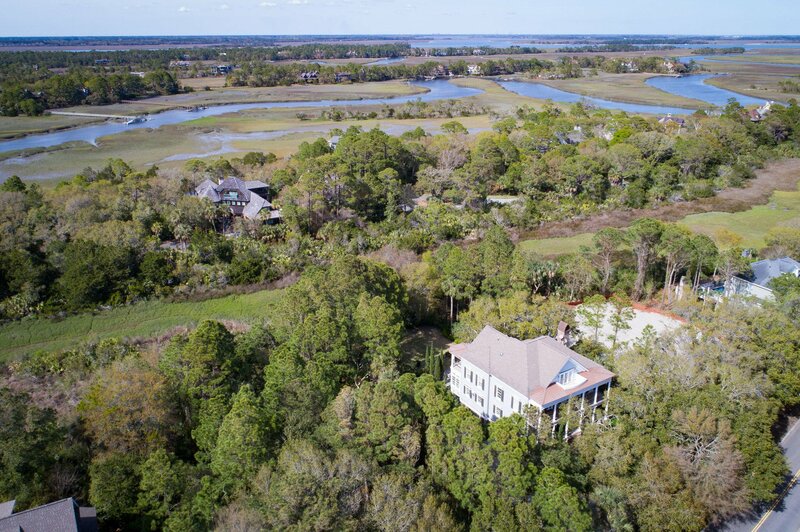 Be sure to soak in all of the the stunning oaks this home has- along with a splendid outdoor deck with a hot tub and marsh views! 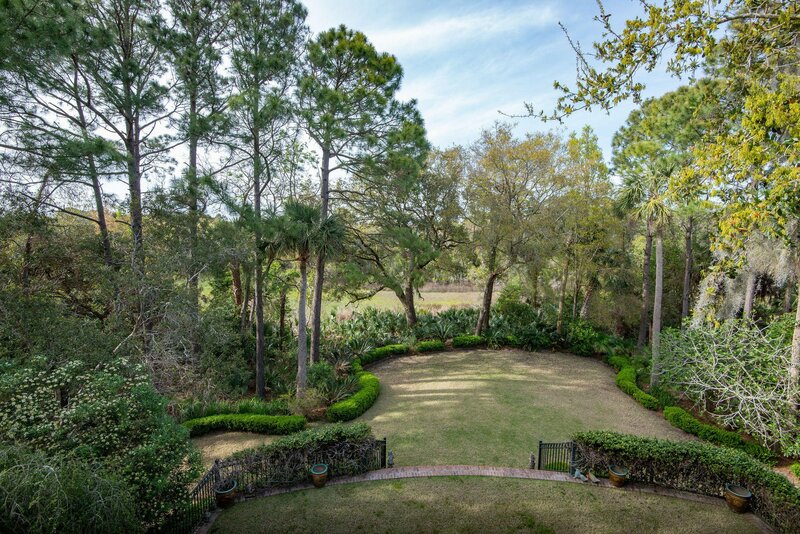 At closing, Buyer is to pay a onetime fee of .5 of 1% of the total sales price to KICA.